Hungry? A new neighborhood Korean spot has you covered. Located at 7026 Santa Teresa Blvd., Suite 30 in Santa Teresa, the new addition is called Bonchon - San Jose. The restaurant is one of 140-plus locations of the Bonchon Restaurant franchise. The name, "Bonchon," which means "my hometown" is an ode to the company's roots in Busan, South Korea. Its menu offers a variety of Asian-fusion items like shrimp shumai, Korean tacos, pork buns and bulgogi, a sliced ribeye beef dish sauteed in a homemade sauce. With a four-star rating out of 21 reviews on Yelp so far, Bonchon - San Jose has made a promising start. 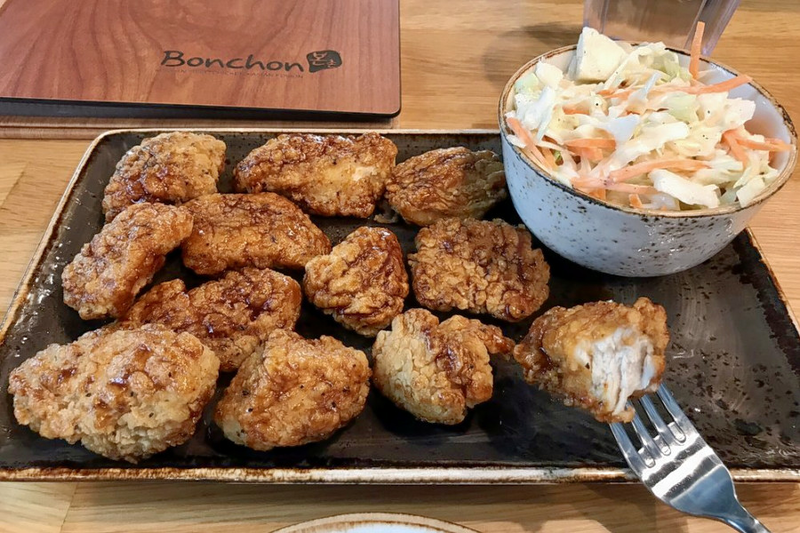 Jenny T., who was among the first Yelpers to review the new spot on December 5, wrote, "I think I've eaten at the majority of all Bonchon locations within reasonable driving distance from my house, and this new location was no disappointment." Head on over to check it out: Bonchon - San Jose is open from 11 a.m.-3 p.m. and 5 p.m.-9 p.m. daily.